Sixty-six years after his disappearance, Israel has a moral obligation to find out why the Swedish diplomat was detained and what really happened to him. January 17, 2011 marks 66 years since a historic injustice was done to Swedish diplomat Raoul Wallenberg, a man designated by Israel as a Righteous among the Nations. The Russian government maintains that Soviet troops, who liberated Hungary from Nazi Germany, detained and then transferred Wallenberg to the Soviet secret police (NKVD) in 1945. The Russians claim further that Wallenberg was executed in the Lubyanka, the headquarters of the NKVD in Moscow, in 1947. The Kremlin, however, does not offer any proof of this. The account of his execution is based entirely on hearsay. What’s more, several former prisoners in the gulag claimed to have met Wallenberg years after 1947. If alive, Wallenberg would now be 98. Wallenberg is famous for saving thousands of Hungarian Jews from extermination. He was a diplomat but his methods were the opposite of diplomacy. Inside Nazi-occupied Hungary, Wallenberg ran an enterprise that distributed Swedish schutz-pass – a document that protected its bearers from Nazi detention – and harbored Jews in buildings marked as a Swedish territory. 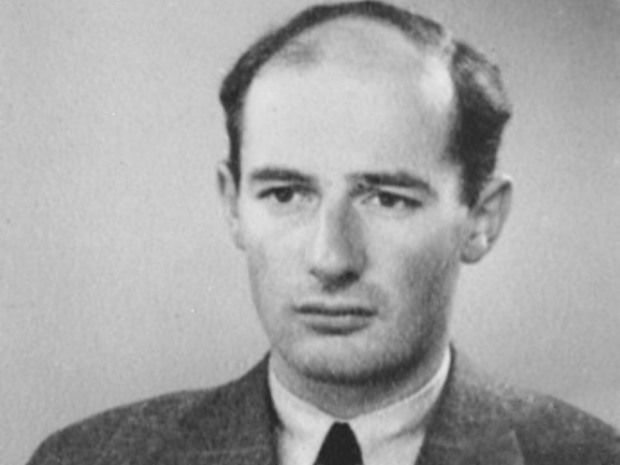 WHAT WALLENBERG did for the Jewish people went beyond humanitarian, nonviolent resistance. This was an open war on fascism fought from within by him and his team. Then, shortly after the Red Army liberated Budapest, Wallenberg vanished forever. The world has not forgotten Wallenberg. For decades Swedish governments quizzed the Kremlin about him. Simon Wiesenthal, a Nazi hunter, collected testimonies about him. Prof. Guy von Dardel – Raoul Wallenberg’s brother – searched for him until his final days. The efforts of Von Dardel and other researchers are documented on www.raoul-wallenberg.eu. The US and Hungary, having named public spaces in his honor, are not indifferent to the fate of their honorary citizen. Yet there is only one nation in the whole world that has a motivation to search for Raoul Wallenberg. The only nation that tracked down Adolf Eichmann years after his crimes. The only nation that keeps sending school children on a trip to the death camps of Poland every year. The only nation that should ask itself what is more important, flying warplanes over Auschwitz half a century later, or finding a man who faced Eichmann at the height of the Holocaust? Wallenberg is just one person out of millions of other innocents, the vast majority of them Soviet citizens, whose life was destroyed by the NKVD and whose fate remains unknown. There is, however, only one more well-known case where, after 72 years, people are still looking for answers and, judging by the recent developments, they are about to receive them. This is the case of what is known as the Katyn massacre – the wipeout of Polish officer corps by the NKVD in forest of Katyn in 1939. Progress in Wallenberg and Katyn cases comes in tidal waves caused by the gravitational pool of the Kremlin. At times, when it moved toward the West, the high tides carried in bits and pieces of shipwrecked lives onto Western shores. • 1989 – The Soviets returned Wallenberg’s personal belongings to his family, including his passport and cigarette case. • 1990 – The first and last president of the USSR, Mikhail Gorbachev, admitted that the NKVD had executed the Polish officers at Katyn. • 1991 – A Swedish-Russian working group was created to search for Wallenberg. • 1991 – After an internal investigation, the Russian government announced that Wallenberg was executed inside NKVD headquarters in 1947. • 1991 and 1992 – Russian president Boris Yeltsin ordered top secret documents about Katyn transferred to Poland. • 2007 – A number of files pertinent to Wallenberg were turned over to the chief rabbi of Russia by the Russian government. • 2008 – In an interview with a Polish newspaper, Vladimir Putin called Katyn a political crime. On May 8, 2010, Russia handed over to Poland documents from the criminal case launched in the 1990s to investigate Katyn massacre. THE PROGRESS in the Wallenberg case is impossible without Putin’s direct intervention and today, more than ever before, Israel has a very good chance to get it. Twenty years ago, when 15 Soviet republics turned into 15 independent countries, no analyst would have predicted that today Russians wouldn’t need visas to visit Israel, that a Russian army would procure Israeli arms and that Russia would show more understanding for Israel’s selfdefense than some countries in Western Europe. Annual trade between Russia and Israel stands in billions of dollars from just a few millions in 1991. This vodka glass is only half full but, undisputedly, the Kremlin no longer treats Israel as a hostile proxy of the US. Russian-Israeli ties are supported by Putin whose views are somewhat surprisingly more pro-Israel than those seen at a Russian grassroots level. Unlike his predecessor, Putin also enjoys full control of Russian Security Service (FSB), the ultimate successor to the NKVD. If Putin decides to help Israel, the search for Raoul Wallenberg, just like in Katyn case, can finally go beyond lip service. Israel has a moral obligation to find out why Wallenberg was detained and what really happened thereafter. This is an opportunity for Foreign Minister Avigdor Lieberman, who purportedly has good relations with the Kremlin, to use his native Russian to bring a closure to the Wallenberg family and to the millions of people who care about Raoul Wallenberg. Unfortunately, Russian anti-Semitism, though officially suppressed, is still in the mainstream. Factors like the economic downturn in Russia may also affect the Kremlin’s attitude toward Israel. As the abrupt deterioration of Israeli-Turkish ties indicates, relations like these can’t be taken for granted. Today, at the peak of the high tide, the Jewish state can issue an Israeli schutz-pass for Raoul Wallenberg. The writer, originally from the former Soviet Union, now lives and writes in Brooklyn, New York.